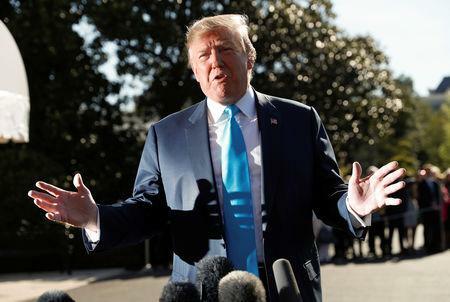 WASHINGTON (Reuters) - U.S. congressional Democrats on Saturday headed for a showdown with the Internal Revenue Service over President Donald Trump's tax returns, setting a new hard deadline of April 23 for the federal tax agency to hand the documents over to lawmakers. In an April 13 letter that appeared to move Democrats closer to a federal court battle against the Trump administration, House Ways and Means Committee Chairman Richard Neal warned the IRS that failure to comply with his request for six years of Trump's individual and business returns by April 23 would be interpreted as a denial. 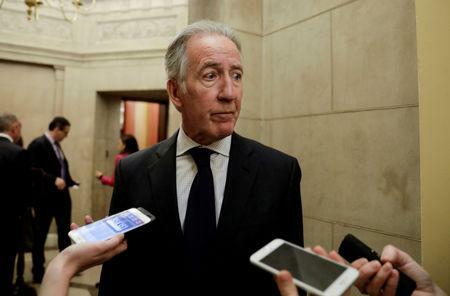 The Trump administration has already missed an initial April 10 deadline for providing the tax records, which Neal first set when he made his request on April 3. Democrats based their request on the panel's jurisdiction over IRS enforcement of the tax laws regarding U.S. presidents. But Treasury Secretary Steven Mnuchin said on Saturday that Neal was "just picking arbitrary dates" in setting deadlines and said it was more important to get the decision "right" to ensure the IRS would not be "weaponized" in a political dispute. "I do intend to follow the law. But I think these raise very, very complicated legal issues. I don’t think these are simple issues. There are constitutional issues," he told reporters on the sidelines of the International Monetary Fund and World Bank spring meetings in Washington. He could not say whether the Treasury, which oversees the IRS, would complete its review of Neal's request by April 23. Mnuchin, who has consulted with the White House and Department of Justice about Trump's tax returns, said earlier this week that Neal's request raised concerns about the scope of the committee's authority, privacy protections for U.S. taxpayers and the legislative purpose of lawmakers in seeking the documents. He said he has not spoken personally to Attorney General William Barr about the request. "Those concerns lack merit. Moreover, judicial precedent commands that none of the concerns raised can legitimately be used to deny the committee's request," Neal told IRS Commissioner Charles Rettig in his letter. "It is not the proper function of the IRS, Treasury or Justice to question or second guess the motivations of the committee or its reasonable determinations regarding its need for the requested tax returns and return information. As Ways and Means chairman, Neal is the only lawmaker in the House of Representatives authorized to request individual tax information under a federal law that says that the Treasury secretary "shall furnish" the data. Despite the law's clarity, Democrats have long acknowledged that the request, if denied, would mean a federal court battle that could ultimately be settled by the U.S. Supreme Court. Legal experts say lawmakers could vote to hold administration officials in contempt of Congress, which would provide a basis for the House to ask a federal judge to order the Treasury Department to comply. Congressional Republicans have condemned Neal's request as a political fishing expedition by Democrats, while the White House has said the documents will "never" be turned over. But Congress would likely win a court fight, though it could take months or even years to unfold, experts say. Neal's request for the returns of a sitting president is unprecedented, and legal experts say its success or failure may depend on a court ruling about the committee's legislative purpose for seeking the documents. Neal said in his letter that the request is needed to further "legislative proposals and oversight related to our Federal tax laws, including but not limited to, the extent to which the IRS audits and enforces the Federal tax laws against a President." Democrats want Trump's tax returns as part of their investigations of possible conflicts of interest posed by his continued ownership of extensive business interests, even as he serves the public as president. 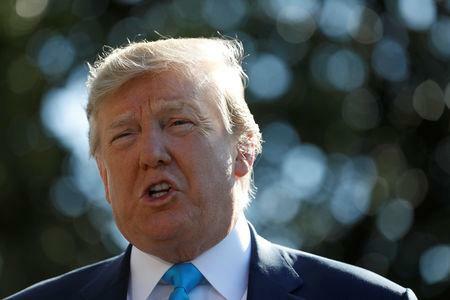 Trump broke with a decades-old precedent by refusing to release his returns as a presidential candidate in 2016 and continues to do so as president, saying his tax returns are under IRS audit. But the president's former personal lawyer, Michael Cohen, told a House panel in February that he does not believe Trump's taxes are under audit. Cohen said the president feared that releasing his returns could lead to an audit and IRS tax penalties.